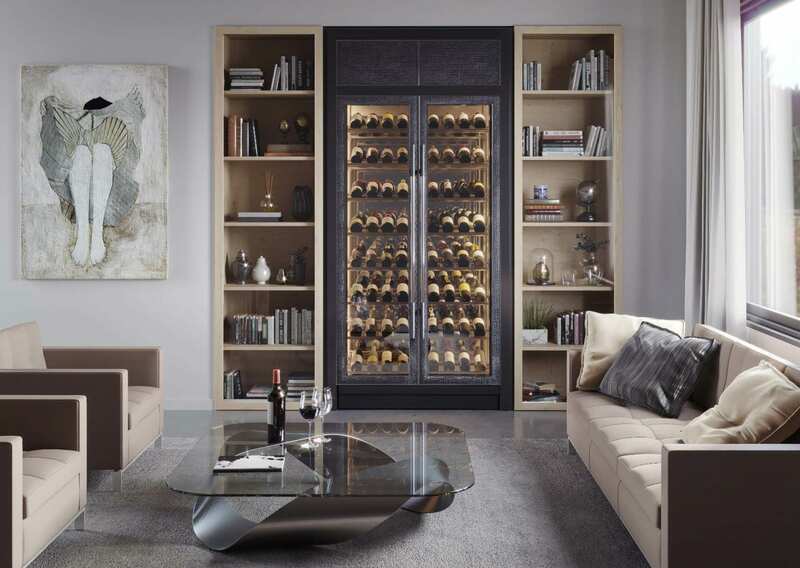 Focus Wine Cellars creates bespoke wine cabinets, working closely with clients to craft exquisite designs for their residential, commercial, or industrial spaces throughout Europe, Asia, and North America. Focus Wine Cellars has a reputation for fashioning remarkable designs for its clients who appreciate distinction, quality, and state-of-the-art technology. Our wine cabinets incorporate purpose-built integrated or remote cooling systems, concealed LED lighting dimmable with remote control, electronic access control, as well as connectivity to building automation systems. FWC wine cabinets also offer spectacular features, such as its one-of-a-kind “Wine Cabinet with Infinity Effect” design, which creates the illusion of an infinite cabinet space. Our team works with home and business owners all over the world, having pioneered the use of innovative materials to employ carefully engineered solutions and meet the unique wine storage needs of our client base. With an extensive background in design, FWC is unparalleled in its creative, artful solutions. FWC’s designers work closely with its clients to fully understand their vision and design a wine cabinet that compliments their space and caters to their storage requirements. With fully customizable wine cabinets and a myriad of aesthetic and functional options, FWC enables their customers to make their design their own. FWC has worked with global clients for over 15 years, attributable to its flexible design options, attention to detail, and supreme quality craftsmanship. Our designers and engineers offer the widest variety of designs, which we invite you to peruse in our catalogue to inspire your future wine cabinet design. Focus Wine Cellars continues to serve individuals and companies from the farthest reaches of the globe. With offices in three continents and customer service representatives available in various time zones, our specialists are proficient in handling the logistics of designing, building, and installing your custom wine cabinet.